Omega Cool Oil –a clever organic blend of Omega 3, 6 and 9. Specially pressed from flax, hemp, pumpkin and evening primrose seed oils, serving up a perfectly balanced amount of essential fatty acids, which our bodies crave. 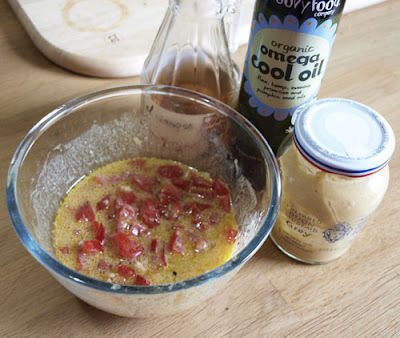 Cool Oil is also the perfect accompaniment to cold foods and as such is ideal when drizzled onto salads, blended into smoothies or used simply for dipping breads and olives. High Five Cooking Oil – sees a unique yet complimentary fusion of five cold pressed virgin seed oils. Blended to perfection High Five Cooking Oil is the ideal healthier alternative to other cooking fats. Offering high nutritional properties whilst graced with a subtle flavour, the oils unique characteristics ensure the great taste is retained even when cooking at high temperatures. I thought I'd put the oil to the test with a bit of baking and some cooking. 1. Put the flour, yeast, salt, sugar, water, wine and High Five Cooking Oil into your bread maker and set for dough. 2. When the dough programme finishes, roll or pull the dough out, oil a baking sheet or roasting tin and fill with the dough. 3. Cover with a tea towel and put in a warm place to rise for about an hour to an hour and a half. 4. Us your fingertips to gently press into the surface of the dough, brush with a little High Five Cooling Oil and scatter over the rosemary and sea salt. 5. Heat the oven to 200C and bake for 30 minutes until golden brown. 6. Sprinkle with the remaining Omega Cool Oil. 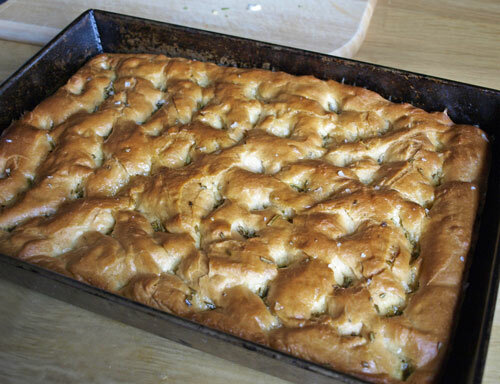 The Groovy Focaccia was very good, although I did miss the taste provided by the olive oil. I also tried dipping the focaccia in the Omega Cool Oil but I felt that the flavour of the oil didn't lend itself to dipping. 1. Mix the Omega Cool Oil, mustard, vinegar, garlic and sugar together. Add the diced tomatoes. 2. Brush the salmon with oil and place in a hot frying pan skin side down to crisp the skin, when skin is brown, turn the salmon and cook for 2 minutes, then switch off the heat and leave as the heat in the pan will cook the salmon through. 3. Place the salmon onto the plate and spoon over the vinaigrette. Serve with roasted red peppers filled with chopped tomatoes and garlic and drizzled with High Five Cooking Oil. 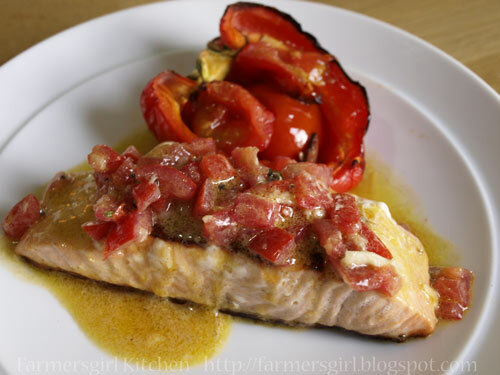 The salmon was delicious as was the roasted red pepper and I would say that the lighter flavour of the seed oil was a really good match for the fish and the vinaigrette was quick easy and one of the best ways of adding a bit of zing to farmed salmon that I have found. 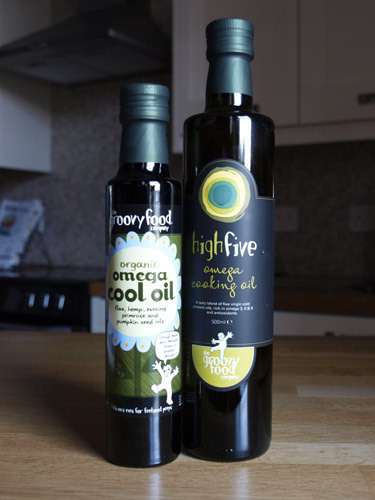 The Groovy Food Oils collection is available throughout Tesco and Sainsbury’s stores nationwide, selected health food retailers and online at freefromandfinefoods.co.uk. The company themselves are very passionate about their products as you can see from their website: www.groovyfood.co.uk. Disclosure Statement: I received two bottles of oil from Groovy Foods to review. I was not required to write a positive review. The opinions I have expressed are my own. The prices are correct at time of posting. How groovy is Groovy as a brand name. I've never come across them before. Love the sound of the high 5. Seed oils rock! I'd be making some biscuits for cheese with it. Fiona - yes it is quite expensive, it worked best with the fish. I would go back to olive for the bread. Helen - yeah pretty cool name! Biscuits for cheese sound good, any recipe suggestions? Your focaccia looks great!! The salmon looks delicious too. They are definitely expensive oils! 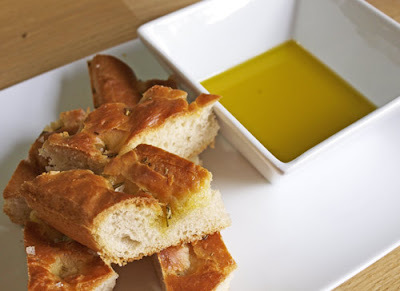 I can't imagine focaccia without olive oil. I love the look of the salmon - I can't see myself actually getting this oil to make it though! woah!... there's a lot going on here... LOVE the focaccia... LOVE the pretty olive oil bottles too and as for the salmon, bloody gorgeous!... what a wonderful meal... 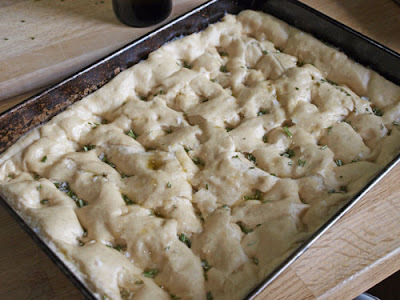 I MUST make a focaccia... always wanted to but never have... nice work! I'm surprised you haven't made Focaccia, Dom! Not sure mine is terribly authentic, but it tastes good. Love focaccia so much have to limit making it or eat way too much. Interested in the oils which do sound good but fear they may struggle to sell well due to their price tag. Delicious salmon too I should say! !